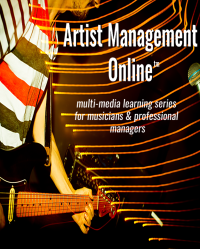 Learn how an artist manager guides the career for an artist, how record label contracts are negotiated, how to attract a booking agent and what should be included in an artist rider. Produced by music industry professionals with years of record label and management practice as well as academic experience teaching the music business at the graduate and undergraduate level. 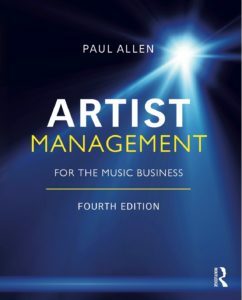 How can I get an artist manager to help with my career? I can appreciate the frustration of trying to get the attention of someone to listen to your music and to manage your career. I authored this book and teach artist management at universities and I’m often asked the same question you pose. Copyright © Paul Allen. All rights reserved. 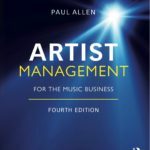 This website originally created by Paul Allen in support of Artist Management for the Music Business, managed by Christopher Palmer and is neither owned nor controlled by Focal Press.